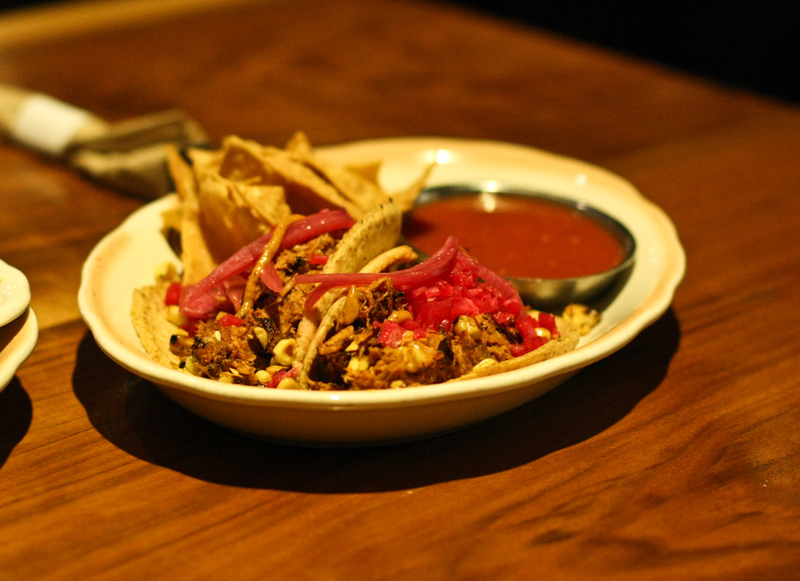 According to Wiktionary, a “Tinga” is a traditional Mexican dish made with shredded meat. Which kind of translates to most of Tinga’s menu. Really tasty, shredded meat. Wherever you look! (Except in the bathroom, thankfully). At first glance, the menu is full of dishes organized by traditional categories. Tacos, Burritos, Quesadillas and Tortas. However, once you dive deeper you’ll see creative and unique takes on some of your favorites. 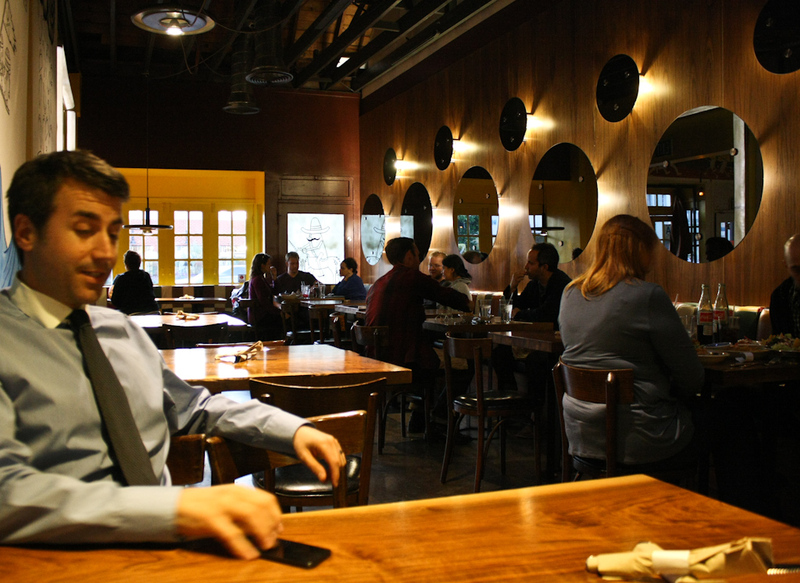 Tinga is upscale yet casual. I guess charging $10 for two tacos makes it upscale? But for that $10, you get a large portion and high quality ingredients. I never mind paying for actual meat instead of God knows what covered in sauce. While we definitely over ordered for two people, we enjoyed everything! My favorite items were the Cochinita Pibil Tacos, Spicy Guacamole and the Elote Especial. The shredded pork has been expertly rubbed and marinated with chilis and orange and braised, shredded and then grilled and served with a spicy habanero salsa. These are tacos to make love to. I love corn. Especially corn with stuff on it! 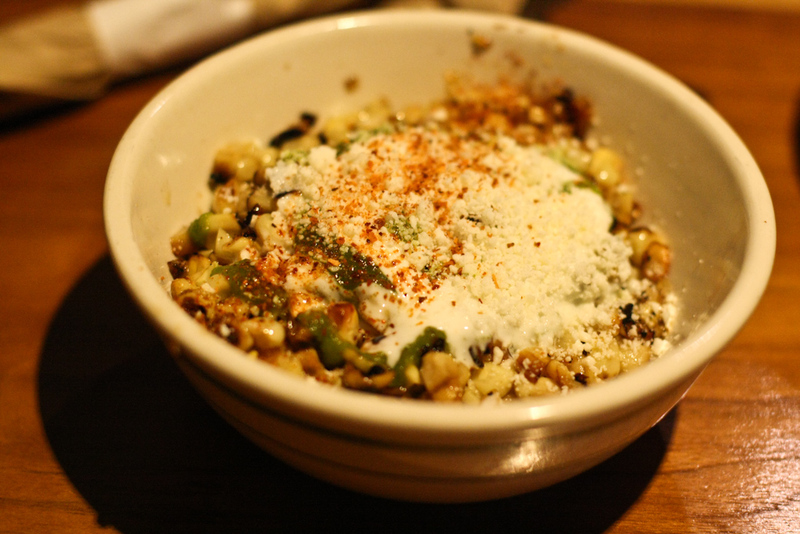 The Elote Especial was nicely grilled and charred then covered in cheese and a creamy lime, chili and poblano puree. Heaven. In corn form. 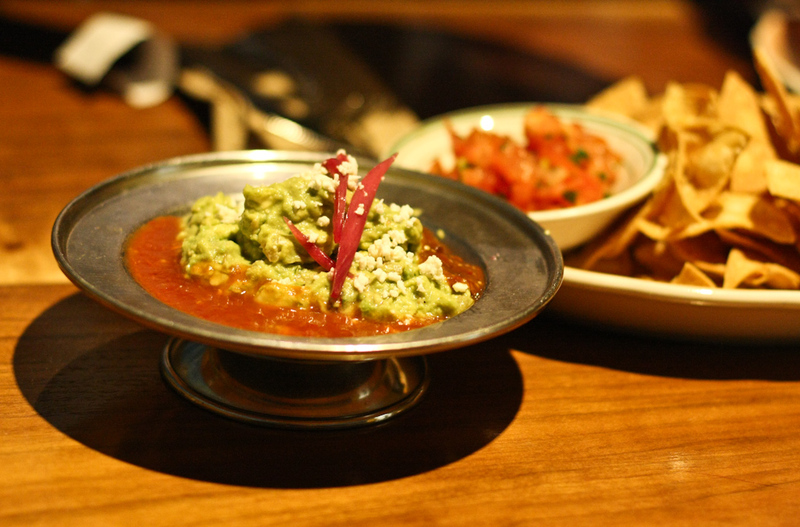 The Spicy Guacamole is served in a moat of spicy salsa. It’s a fairly large portion, could definitely serve 4 but Clyde and I managed to polish it off like greedy little puercos. 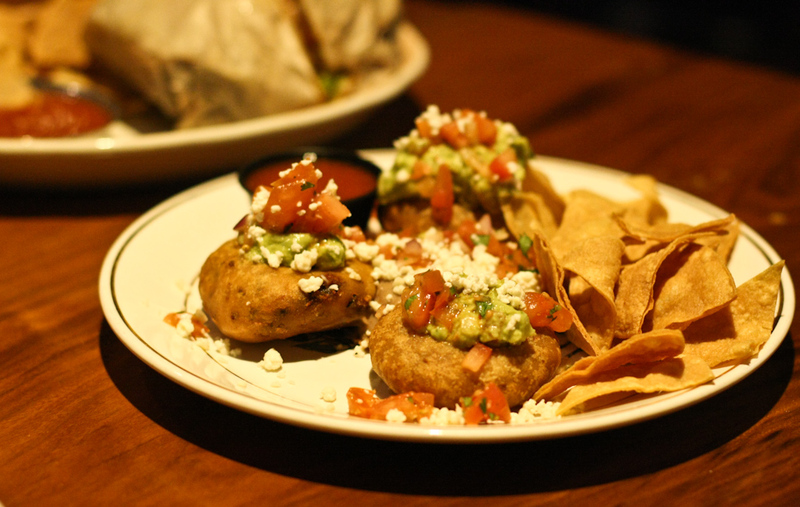 The Mushroom Pupusas were a nice little appetizer with a subtle, earthy mushroom flavor. However, I would have probably preferred the Chorizo and Potato ones instead. 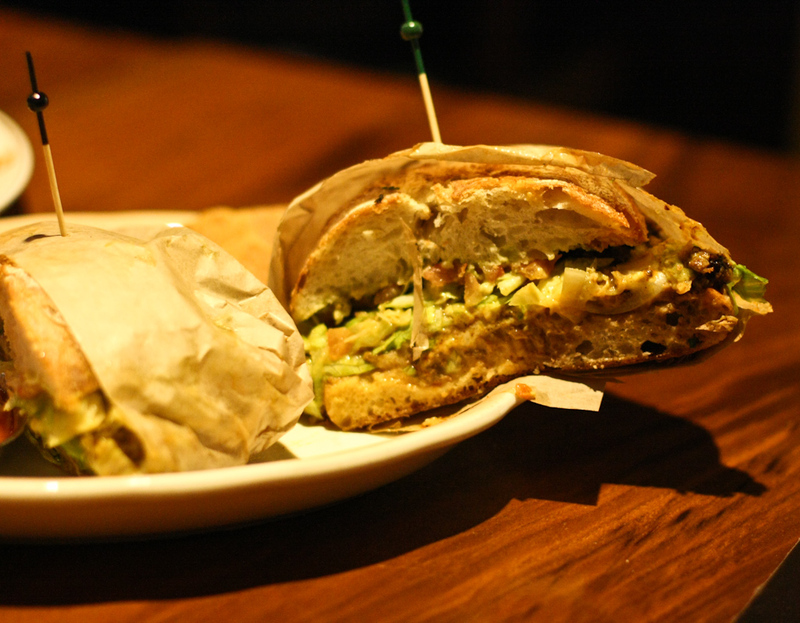 The Tia Torta was also very good but the thick bread kind of overshadowed the delicious fillings. We ended up ditching the bun and eating the decadent cheesy wagyu ground beef with the multitude of homemade tortilla chips at our disposal. Seriously, chips and salsa come with each dish so come hungry for a shitload of deep fried carbs! If I was the kind of person to actually repeat restaurants, I would come back to Tinga. They have an extensive menu and while burritos and quesadillas generally don’t photograph well (if you’re a novice like me), I bet they’re killer and I would try all of them. 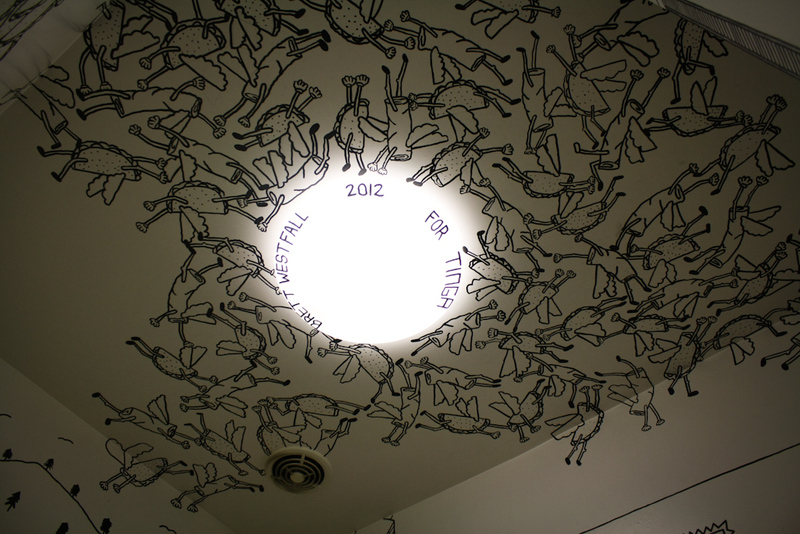 Shel Silverstein exploded on the bathroom ceiling! LOVE the taco art in the bathroom!